Our Yogapod Studio is based at Bull Mill on the banks of the river Wylye. 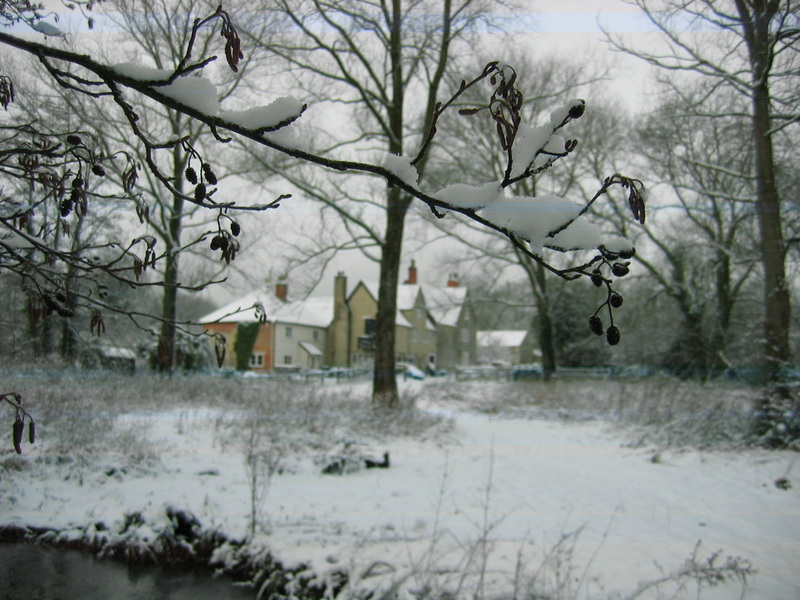 A grist mill was documented on this site in the Domesday Book of 1086. The mill looks over the Wylye river to Southleigh Wood, where King Alfred rallied his troops under the Iley Oak in 878 AD before the battle of Ethandum. The oldest surviving parts of Bull Mill were built in the fifteenth century, and there have been many additions and alterations over the centuries. As early as the sixteenth century, a silk mill and cloth factory were established here that thrived for hundreds of years, but the huge factory buildings fell into disuse at the end of the nineteenth century and have long since disappeared. We are still visited by the descendants of the silk mill’s occupants, many of whom emigrated to Australia. Villagers remember the Paradise family who lived here in the 1940's and farmed the surrounding land, when the Mill was known locally as Paradise Farm. Bull Mill is now a large house with an attached cottage and old walled gardens, as well as farm buildings, stables and storehouses now converted into studios. Lord Bath established a community of artists here in the 1960’s and there have been artists living and working here under his patronage ever since. Currently there are 9 artists and their families living and working at Bull Mill Arts, including sculptors, ﻿painters﻿, printmakers, jewellers and restorers. Twice a year (in May and November) the artists open their studios in a joint exhibition, and biannually take part in the Wylye Valley Arts Trail. There are also life drawing classes, printmaking workshops, gilding workshops and painting courses.